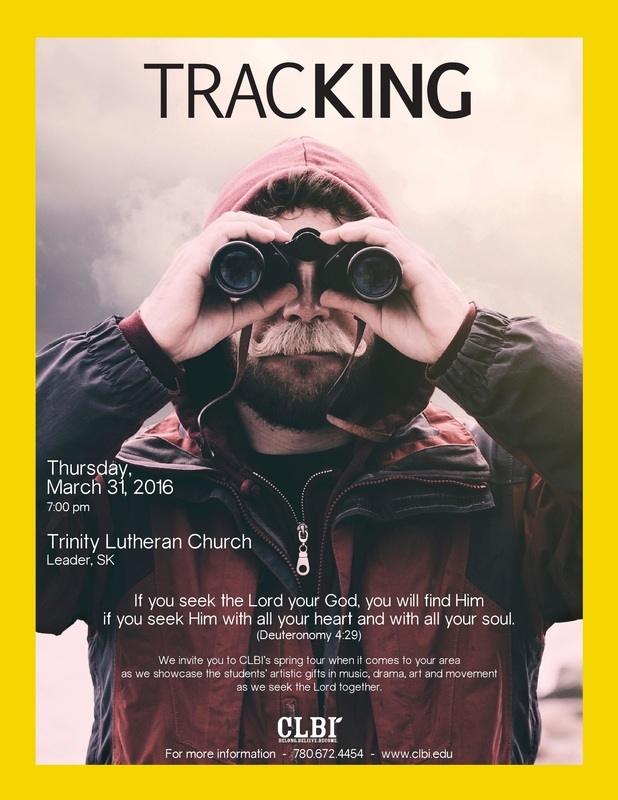 CLBI- a Bible School in Camrose, AB will be at Trinity on Thursday March 31 at 7:00 p.m. Sharing music, drama, art, and dance. All are welcome! Free-will offering to be collected in support of ﻿CLBI﻿'s ministry.